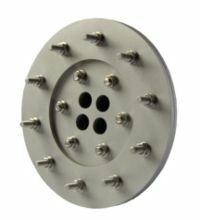 WA.GP-T Thimble wall sleeves, pipe sleeves and seals for multiple or single pipe penetrations. Thimble sleeves are bolt fastened on an exterior concrete wall, or floor. 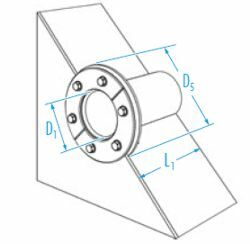 Back flanges may be flat or curved. The WA.GP-T may mount on an outer wall or inner wall. 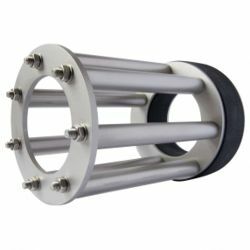 Thimble sleeve assemblies may be used for metal tank pipe penetrations. Plates are welding or bolting to the tank wall. Use Split stainless steel wall sleeves, for pipes/cables that are already in place The pipe seals may be modular seals or disk compression seals. GP-T pipe seals are designed for watertight sealing of conduit and cables passing through construction walls or concrete tanks and hydraulic structures. 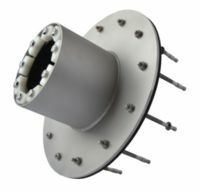 The assembly combines a sleeve which is fasten to the wall and modular seals or disk compression seals. 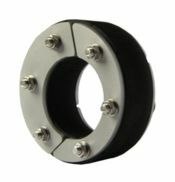 Split sleeves with seals for multi pipe penetrations through the same sleeve are available. 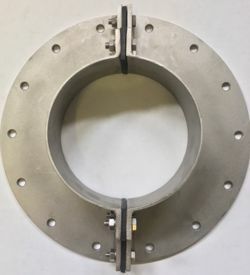 Split WA-GP-T sleeves may be used for pressing water applications of 36 psi (2.5 bar) A wall gasket seals the wall collar connection and joint gaskets seal the split connection. When a link seal leaks, a WA.GP-T is the recommended solution for repairing the leak fault. Repairs are made while the line remains in operation. 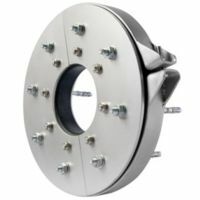 WA.GP-B models are low profile external wall mount seals designed for pipe sealing outside the wall. The external wall seal may be a split version to seal existing pipes. They provide a watertight seal at the wall with an extended elastomer seal and around the pipe. 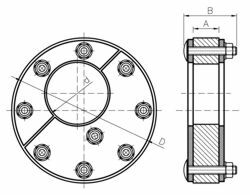 WA.GP-B seals are available for American and International pipe sizes. The pipeline remains in service while the seal is installed. External Wall Mount Pipe Seals are used when a pipe penetration needs to be sealed from outside the wall. When too small a core opening exist, the pipe is not centered or an out of round condition exist in the opening. Also WA.GP.B seals provide a secondary waterproof pipe seal when a previously installed link seal leaks. Repairs are made while the pipe remains in service. 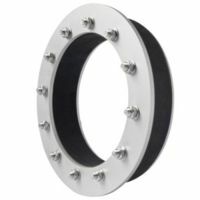 WA.GP-B model disk-seals are available in a two piece split version for existing pipes, or one piece units. 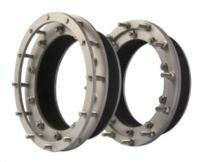 WA.GP-B disk seals are only 60 mm thick, allowing installations in restricted spaces. They are simple to install with a very high clamp force ring, providing a 36 psi seal. Maximum corrosion protection Stainless steel plates and elastomers of EDPM, NBR or Silicone elements are available. Pipe off center sealing - eccentric pipe seals: when a pipe is not centered in a wall opening or a carrier pipe is not centered in a casing, use a WA-GP-UM seal. 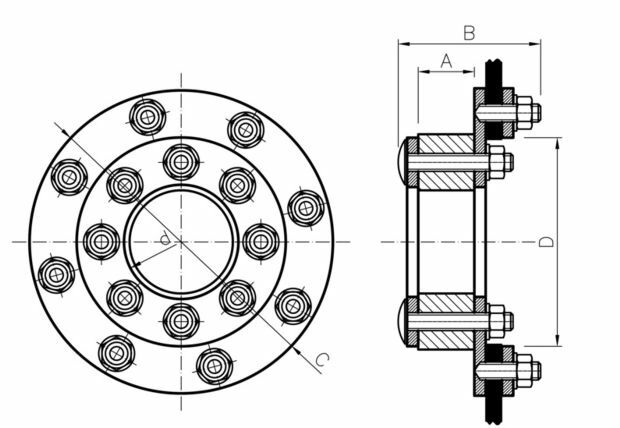 Eccentric seals may be split for existing pipes or non-split. For sealing a carrier pipe through a casing, the eccentricity depends on the height of the casing spacer leg being used. The plain of the carrier pipe through the casing determines the seal measures for sealing. Pipes are considered to be fully (100%) eccentric it were lying against the inside diameter of the wall sleeve or core hole. A pipe would be concentric (0% eccentric) if it were perfectly centered in the casing or wall opening. WA.GP-UM eccentric disk-seals are used to seal off center pipes. WA.GP-UM Split Eccentric pipe seals for existing pipe. Casing Pipe "end seals" watertight (Split): WA-GP-UM pipe seals. 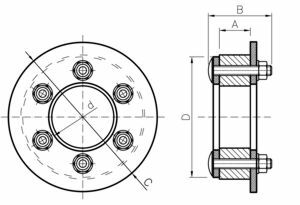 WA-GP-UM eccentric seals, allow a carrier pipe to set lower or higher in a casing. The seals are 2.5 bar, 36 psi pressure seals. Also available in non split configurations. It is not necessary for a carrier pipe to be seated in the center of the casing. The annular space may be sealed with an off-center WA-GP-UM end seal, configured to match the exit carrier pipe position. For gravity feed systems it may be necessary to increase the casing size to obtain a correct grade line. As long as the minimum space, is more than 25 mm of the wall - an eccentric pipe seal can be used. When ordering a WA-GP-UM, it is necessary to measure the displacement (eccentricity) at 12 point locations; as shown in figure above. Measure outward from the carrier pipe. How to measure the distances for a Eccentric Pipe condition. 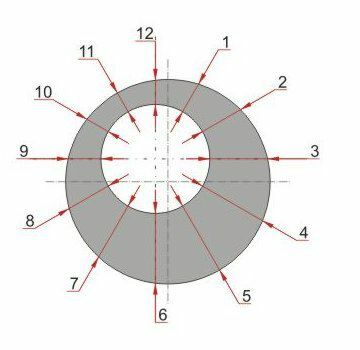 Inner Diameter of hole (if it is circular shaped) not deformed. Measures according to the drawing above, the measure points are relative to the pipe not the opening. Divide the carrier pipe (not the hole) into 12 equal pieces. At the starting point 12 measure clockwise at each point out to the hole ID. A photograph of the penetration as it exist, in conjunction with the A-B measures. Seal a wall waterproof liner and penetrating pipe through the same opening. 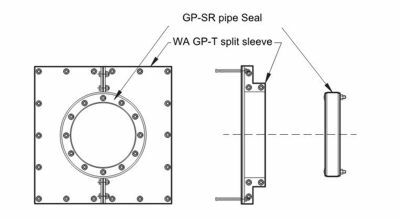 WA.GP-F fixed and loose plate compression seals: seal both pipe and waterproof wall liner. WA.GP-F units, seal small or large pipe penetrations. Multiple pipes through the same opening may also be sealed using a WA.GP-F.
Sealing pipes through core drill openings or wall sleeves may be accomplished. WA.GP-F pipe and membrane are used in applications, at landfill sites, holding ponds, containment sites, vault liners, waste containment, foundations, and others. WA. 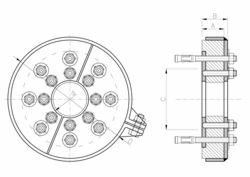 GP - KAR long bolt seals are designed for sealing around pipes seated deep inside a core hole or sleeve. All pipe sizes may be sealed using WA.GP-KAR seals. Long bolts are required to seat a seal in hard to reach locations, extended compression bolts allow the seal to be installed at the required site. Pipes through concrete walls subject to water hammer forces. Cushions excess water hammer pressure along the pipeline. Water hammer WA.GP-LR Disk Seals. Extended compression plate lips on one side absorbs the hammer force. Oh a vertical mount the lip prevents the pipe seal from falling into the opening. 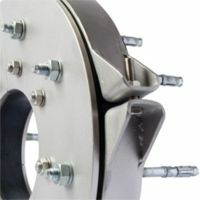 The extended flange provides a security anchor point for the seal before the bolt compression nuts are tightened. Water hammer WA.GP-LR Disk-seals have one compression disk slightly larger. 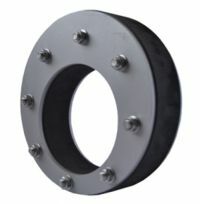 The larger diameter flange absorbs the excess pressure along the pipeline and maintains the seal integrity. 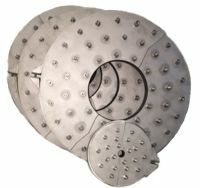 They are designed for use in applications where water hammer pressures are expected along a pipeline. The enlarged ring is installed on the inflow side at the wall. pipe through wall seals, multi pipe penetration seals, high water head pipe sealing, eccentric seals for off center pipes. USA: Texas, TX, Houston, Illinois, IL, North Dakota, ND, Iowa, IA, Ohio, OH, New York, NY, Kentucky, KC, California, CA, Louisiana, LA, Florida, FL. Canadian Regions and City availability; In Alberta, AB; Edmonton, Fort McMurray Calgary. British Colombia, BC; Kelowna, Vancouver, Prince Rupert, Kitimat. Saskatchewan, SK; Regina, Saskatoon, Prince Albert, Estevan, Swift Current. Manitoba MB; Winnipeg, Thompson. Ontario, ON; Toronto, London, Ottawa, Hamilton, Quebec, QC; Montreal, Quebec City, Trois-Rieviers, Chebougamau, Sherbrooke. New Brunswick, NB, Nova Scotia, Newfoundland Labrador, NL.